Capacity: It’s critical to calculate the correct capacity of a yard ramp since it will host loaded forklifts with heavy loads. A yard ramp capacity needs to be a working capacity. A quick way to calculate this? The yard ramp capacity should be three times the lifting capacity of the fork lift traveling over it. Usage: Using the proper type of yard ramp for your specific application is key. For instance, will you need a yard ramp to go from dock to ground, or from ground to truck? It’s also important to determine the exact height and width you will need depending on your specific application. Use in a truck requires a level off platform to keep the tines at level height and yard ramps must fit inside the door of the trailer. Size: Most truck trailer doors are roll ups that have 92″-94″ openings. Swing door trailers usually have 102″ wide openings. Boards and ramps must have a minimum of 2″ clearance per side to allow for safe, secure, proper placement, so it’s important to know if there are going to be any nonstandard trucks or loading that may require your yard ramp. Portable or Stationary? : Will you need the yard ramp to be portable or stationary? 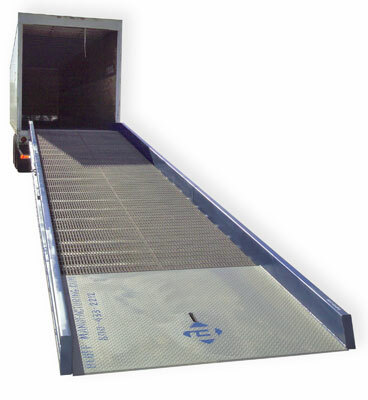 A portable yard ramp is ideal for ground to truck applications. 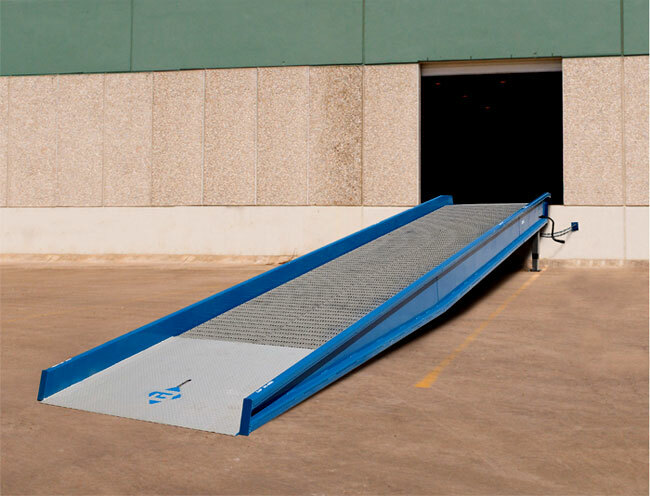 A stationary yard ramp is commonly used when the yard ramp will not need to be moved as in a dock to ground application. As always, we can help you specify exactly the right ramp for your application. See Yard Ramps for more details. Thanks to our friends at Bluff Manufacturing for these tips.